Most of the Samsung Galaxy Tab 3 10.1 P5200 tablates are problem free, but some have reported that the Samsung Galaxy Tab 3 not charging correctly. Some Samsung P5200 owners thought that the USB cable was an issue and went out and purchased a new charger, , nstead some quick methods that we’re about to suggest can generally fix the problem when the Huawei Honor 4C not charging when plugged in. Here is the solution for Samsung Galaxy Tab 3 P5200 Not Charging problem like there is No Charging indication shows on the display when the battery charger is being plug-in. 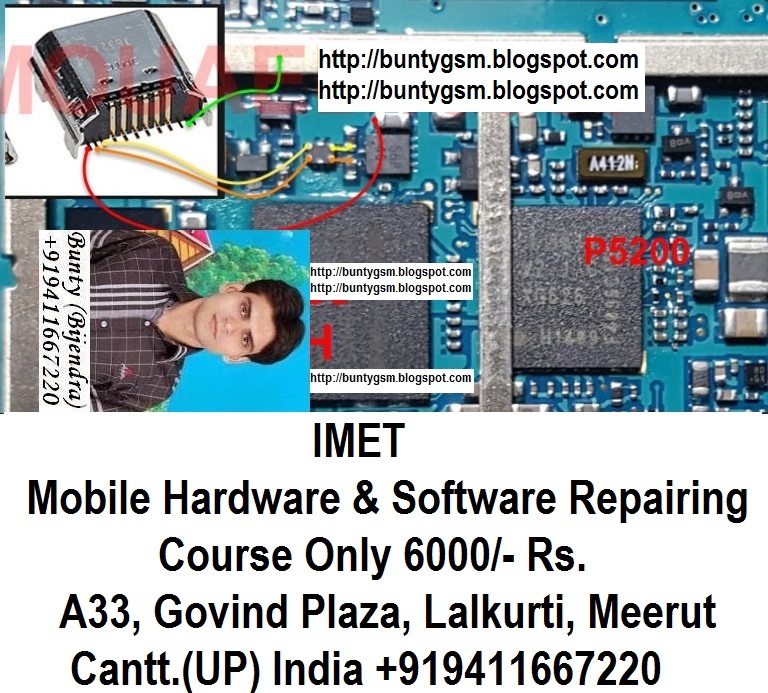 This problem is may caused by a faulty charger or a faulty components on Huawei Samsung P5200 PCB board. This problem may sometimes happens if the device suffered wet or water damaged or just exist. Before proceeding, ensure that the battery and the battery charger are in good working condition. – Check all the components shown on the image below, you may start by checking the USB pin connector. – Then the fuse, diode, capacitors and filter coil for possible open or short circuit. – Trace each of the connection line paths from USB pins down to the components where it is directly connected.